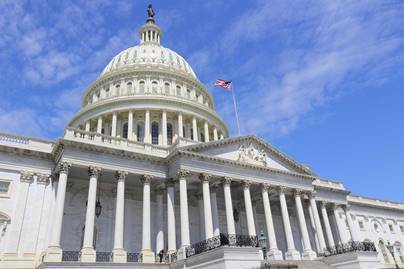 The new co-chairs of the House of Representatives Recreational Boating Caucus are Representative Lois Frankel (D-Florida) and Representative Tom MacArthur (R-New Jersey). The Congressional Boating Caucus was formed in 1989 as an informal, bipartisan group of US Senators and Representatives to advocate for the interests of the recreational boating industry. Recreational boaters have also benefitted from the Caucus’ leadership on shared issues such as restoration of the Everglades, fisheries management reform, flood protection efforts, and projects that support waterway access. Today, Boat Owners Association of The United States (BoatUS) joined with the National Marine Manufacturers Association (NMMA) to welcome the new co-chairs of the House of Representatives Recreational Boating Caucus, Representative Lois Frankel (D-Florida) and Representative Tom MacArthur (R-New Jersey). Representative MacArthur is an active New Jersey shore boater and tourism advocate, while Representative Frankel, a House Infrastructure and Transportation Committee member, hails from the number #1 boating state in the nation and is a boating and angling enthusiast.